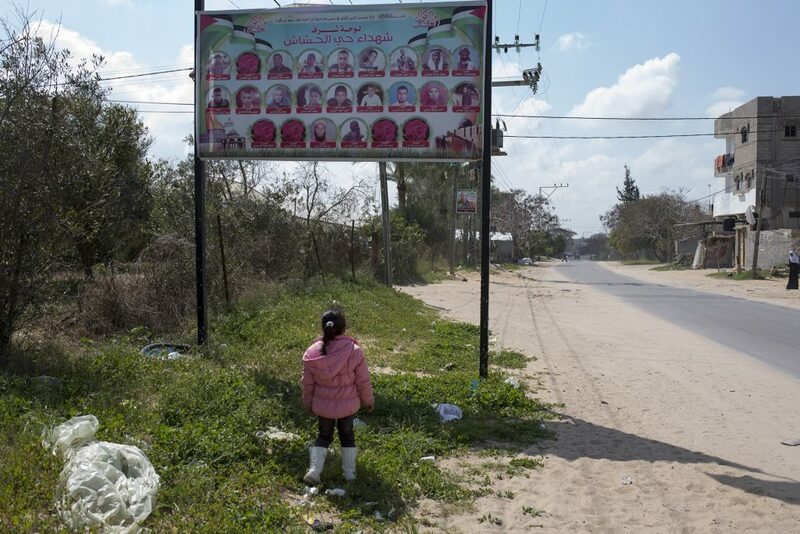 Photo: Mina Ahmed al-Hashash looks at a poster honouring the victims from the neighbourhood, including the seven members of her family who were killed in an Israeli airstrike. Elderly parents of Ahmed al-Hashash, his three wives and their 12 children were targeted as they were in the street, fleeing. 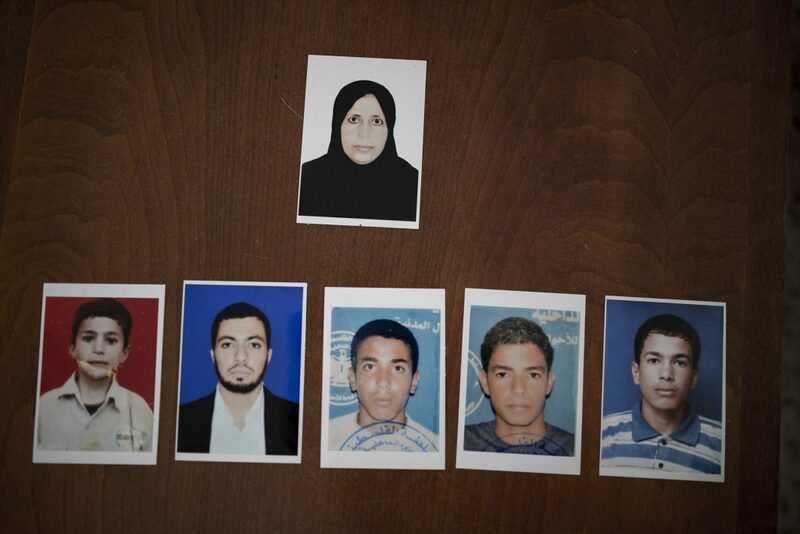 They went out after a missile killed their 19-year-old son Masoud, who had left the house to see what was happening. Some of the men were carrying their disabled mother Hanaa’. The family was attacked less than a hundred metres from their home. “Israeli drones are supplied with cameras; they know people in this house are civilians and that some are disabled,” says Ahmed al-Hashash, who lost five sons and his wife in the attack. “We believe in justice. We know that if any other country committed such crimes, it would be brought to justice. But Israel acts as a state above the law. We hope that one day Israel will be brought to justice, and held accountable,” he adds. (20, a neighbour and member of the extended family).